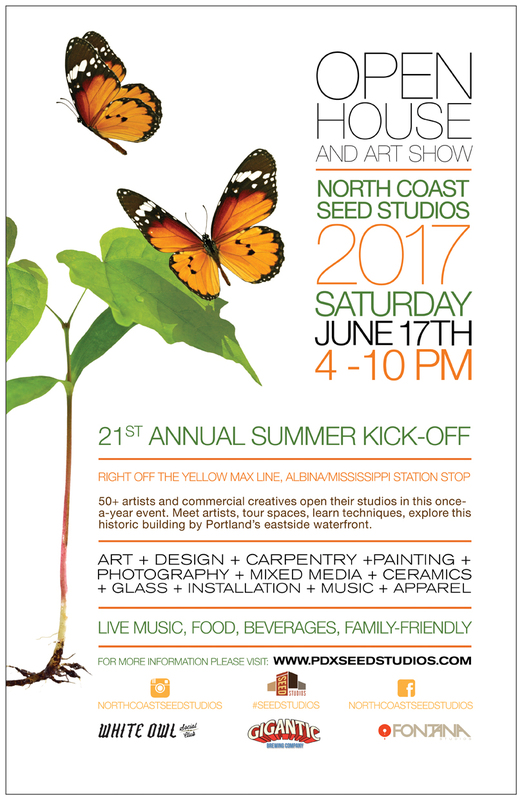 North Coast Seed Building Studios » Archive » 2017 Open House & 21st Annual Summer Kickoff! It’s that time again! All us Seedlings are thrilled to host another Open House. We have some extra activities planned this year in honor of our 20th anniversary. May 16, 2017 | Filed under Events, pdxstudios and tagged with north coast seed studio open house, open house 2017, seed studios open house.